Studied processes influencing a spatial development of the macro region the Russian Far East in a mid-term period. Analyzed problems of the current allocation structure of the economy and its accompanying systems of the settling. Considered parameters of a spatial framework, which contains the main elements - points of accelerated growth, a system of networking links facilitating their integration, and linear vectors (directions) of development. Made a conclusion regarding economic macro units - the areas of advanced development that set economic basis of a spatial framework along with largest investment projects that, through networking, contribute to formation of the over whole economic space in the Russian Far East. 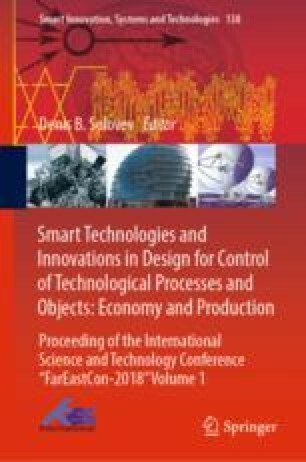 Made an assumption about emergence of territorial industrial complexes with a new industrial specialization connected to implementation of large-scale investment projects within the boundaries of the territories of advanced development and in the territories referred to the free port of Vladivostok. Development of the territorial industrial complexes contributes to setting of polycentric agglomeration structures in the zones adjacent to the transportation corridors. This, in a long-term view, allows eliminate the disproportion of the spatial distribution of the economy activities and its associated residential structures.